What Can Jackson Pollock’s Process Art Teach Us about Process Improvement? I was reading an article recently about Jackson Pollock, an abstract artist famous for his “drip paintings,” and I became intrigued when I found out his art falls under the category of “process art.” As I learned more about Pollock and his “process,” I started to think about what he could teach us about process improvement. 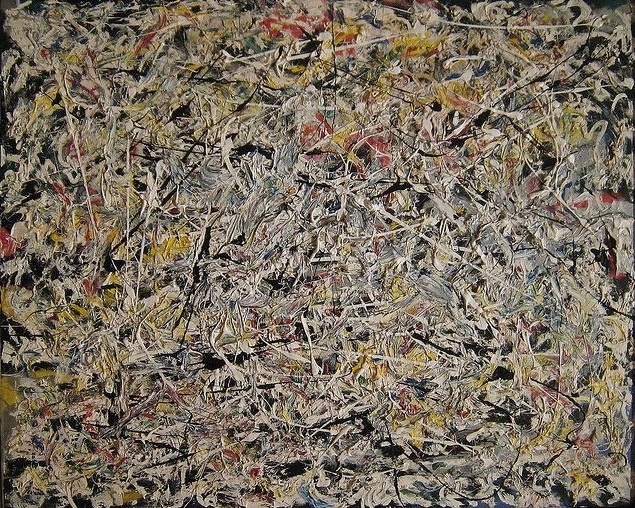 The process Pollock took to make his artwork was very calculated, hence the name “process art.” His technique focused on the formation of the art, which incorporated the movement of his body; the pouring, dripping, or splattering of paint; and the force of gravity. He didn’t use typical painter’s tools like brushes and easels in his process. Pollock would re-work his canvases to create webs of patterns, and his dynamic approach allowed him to simulate the chaotic patterns prevalent in nature. Pollock passed away in 1956, but since his death scientists have used computer technology and fundamentals of statistics to formalize his distribution-driven process. His patterns are so complex that mathematicians claim they can determine a fake Pollock piece from an authentic one. But how does all of this relate to process and quality improvement? People are still are very captivated by Pollock’s unconventional process and his organized, yet very chaotic patterns of splattered paint. Can your company’s processes be streamlined by using tools you never thought to use? Would it be beneficial to map your processes and identify any helpful or hindering patterns? These are questions to ask yourself before embarking on any quality improvement project. What do you think of Pollock’s process art? Can it teach us anything about how to improve the processes we employ in our businesses? Photograph "Jackson Pollock, White Light, 1954" by Sharon Mollerus. This image is licensed under Creative Commons Attribution ShareAlike 2.0.